After posting lots of black on the blog all week, I couldn't think of a better home then this home, located in Belgium to end the week. Tomorrow, like last week's Friday, I will show some more of the events I attended this week, press releases or other happenings in town, this is something I thought of for some time and I hope you love this new idea of making one mixed post on Fridays and keeping the first four days of the week for the things I love most, beautiful homes, minimalistic design and things close to my own style. 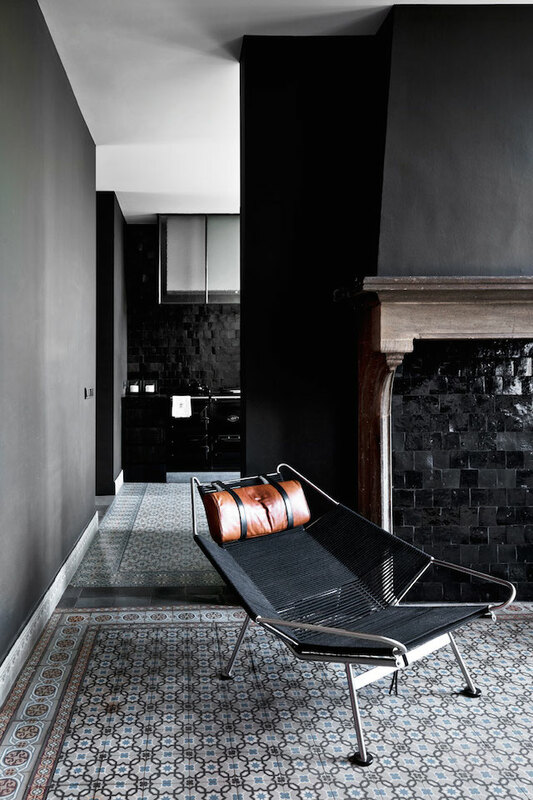 With it's black floors, and the huge doors with glass and black metal frames, and black ceiling in some of the rooms, it immediately stole my heart.. maybe because I have my eyes on a small bench, maybe a bit more industrial, like the on in the picture above. The home has a strong monochrome vibe with some touches of wood, patterned tiles and authentic fireplaces and beautiful art, the artwork in the picture above is made by Marc Lagrange. 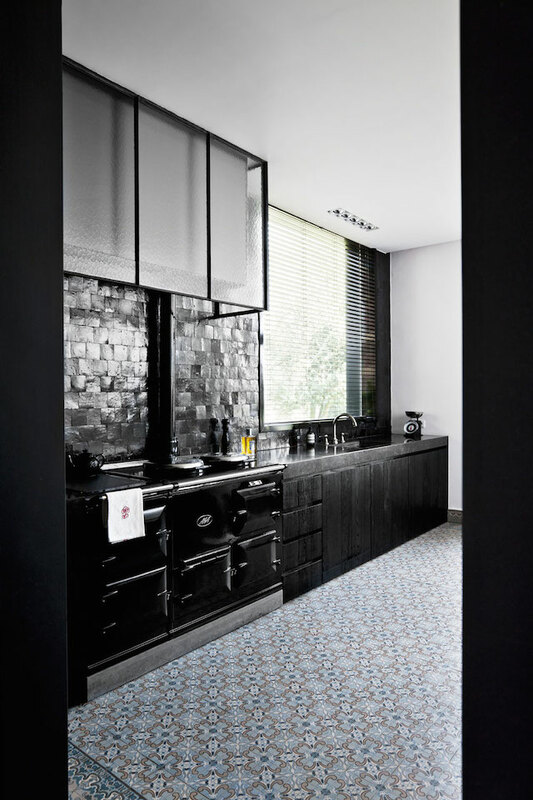 If you love those glass doors and windows in black metal frames and the small shiny tiles in the kitchen, have a look at this former post where I showed the home of Mary Hessing, editor in chief of Dutch Eigen Huis en Interieur magazine.